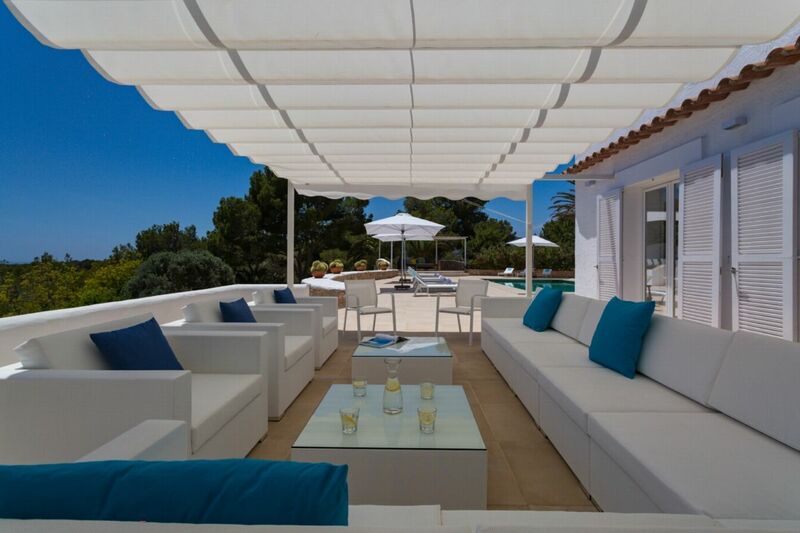 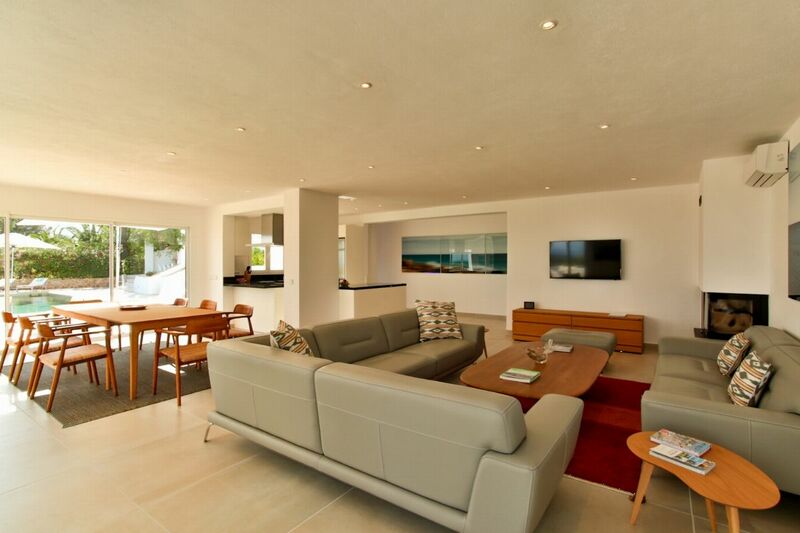 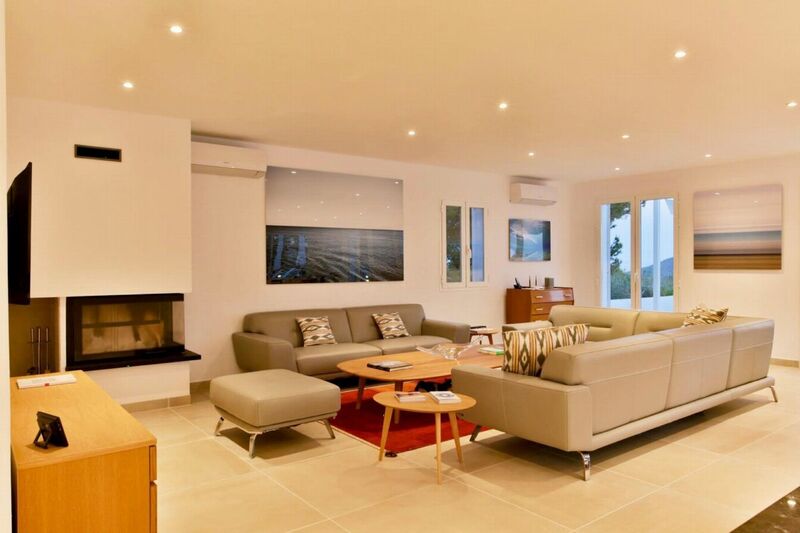 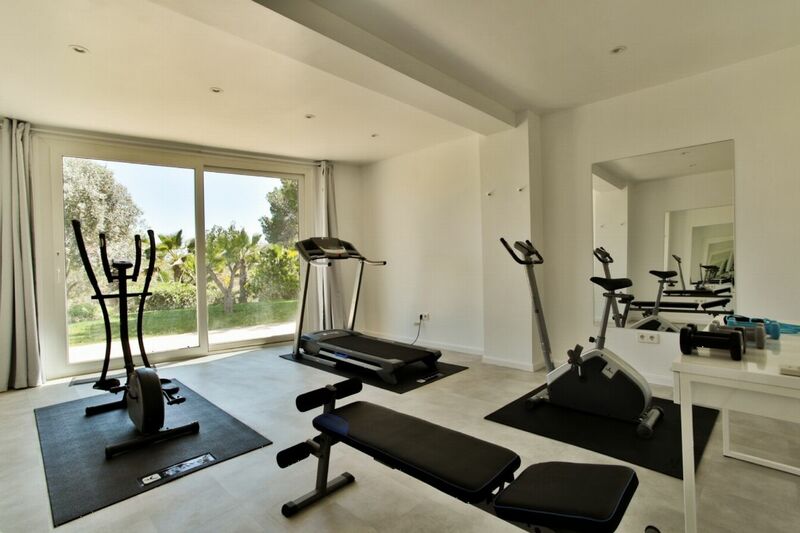 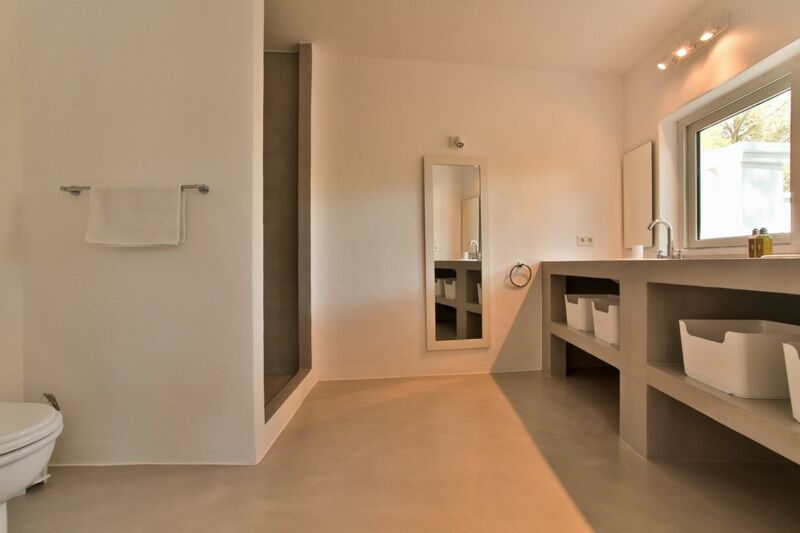 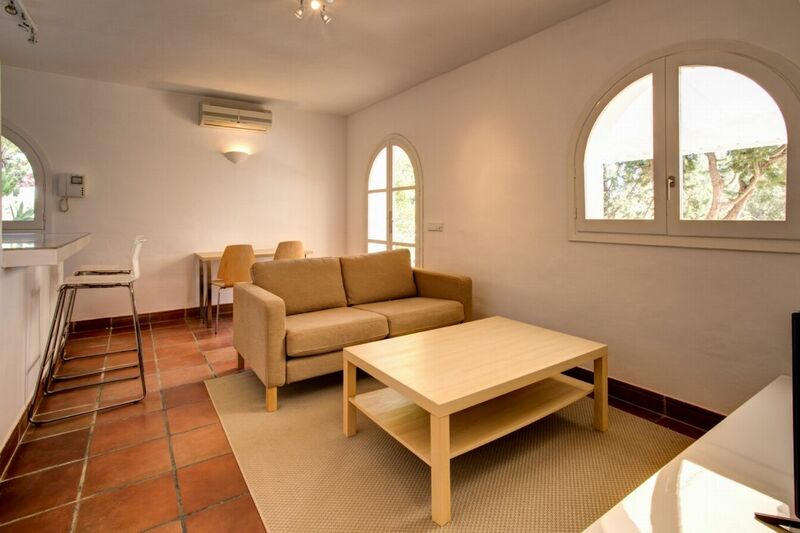 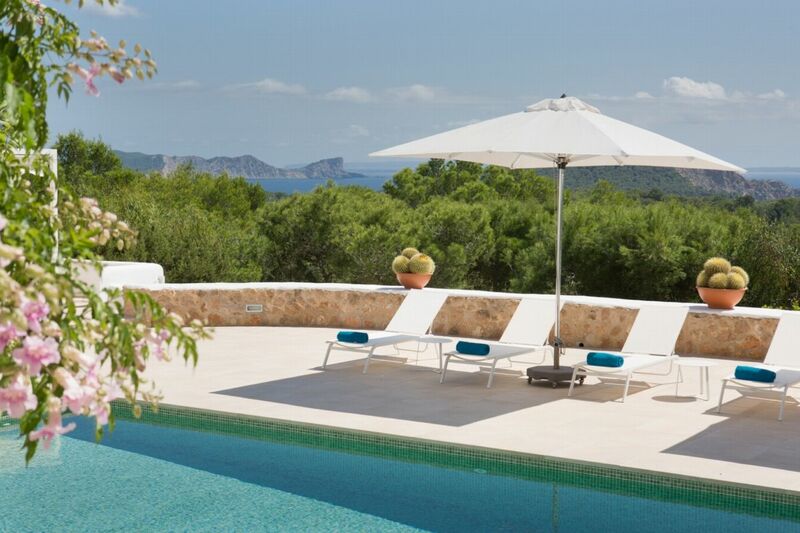 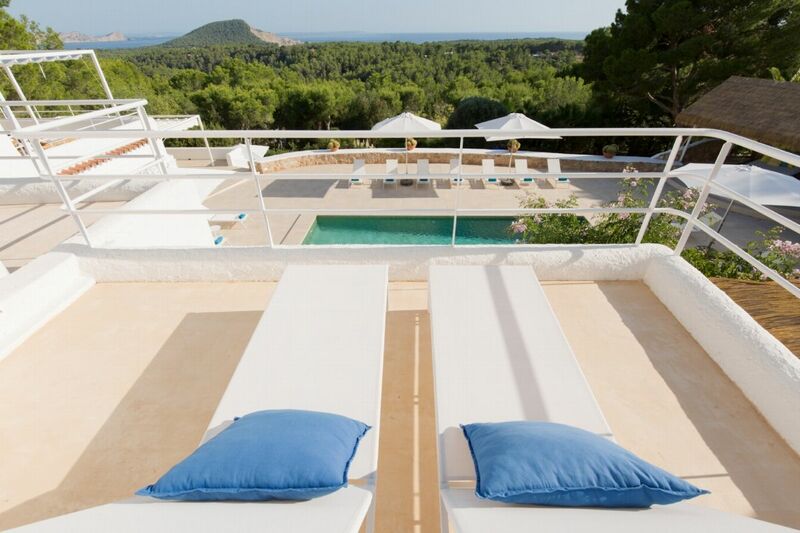 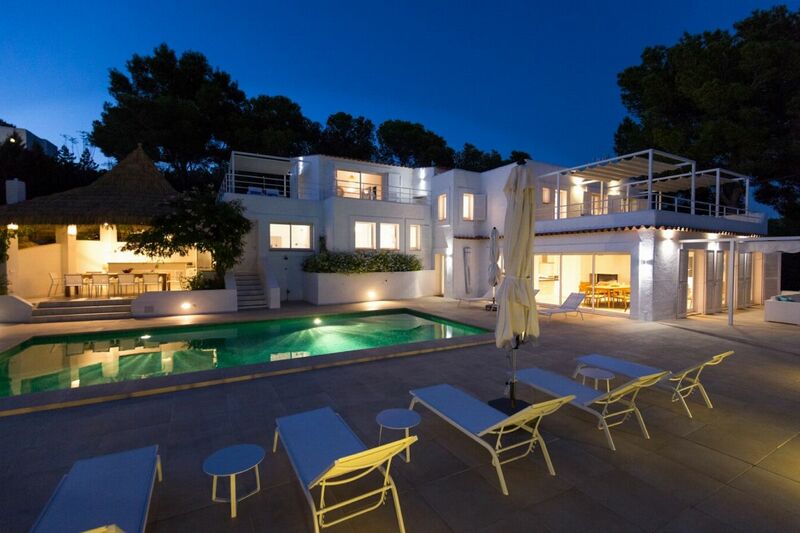 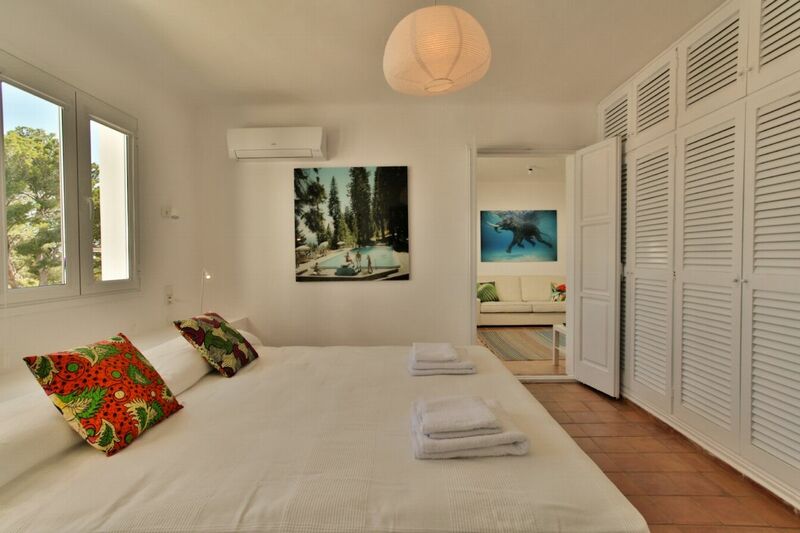 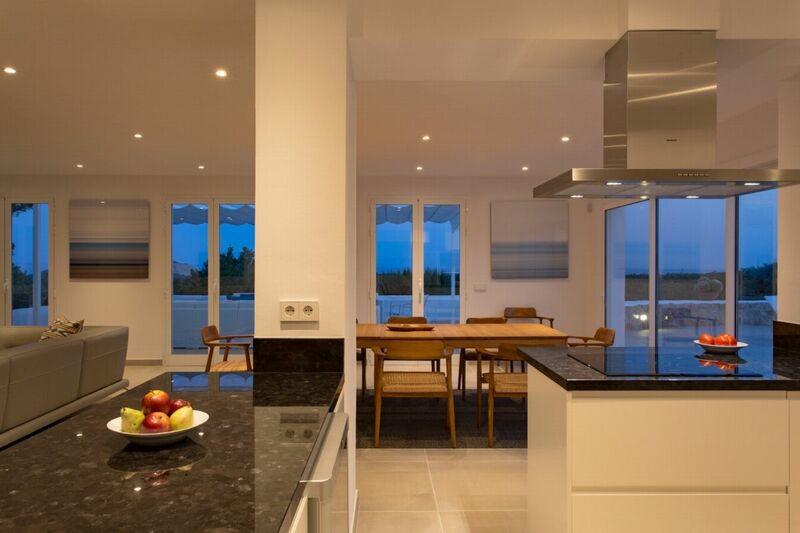 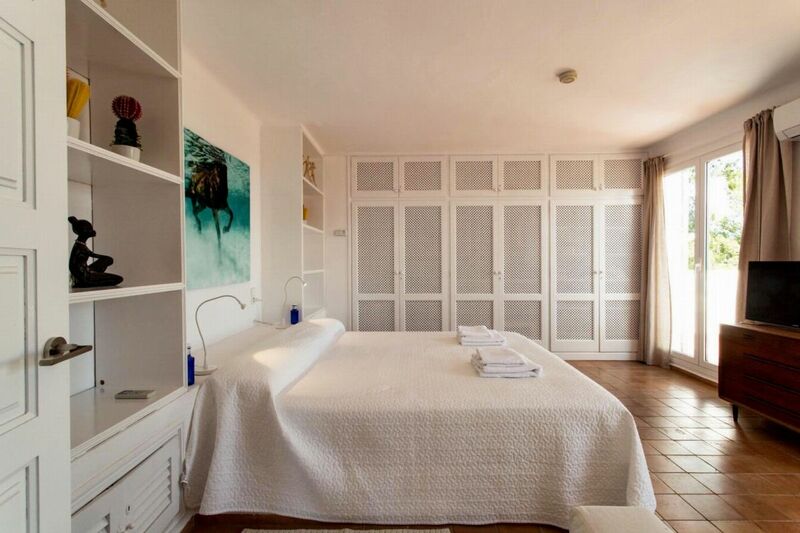 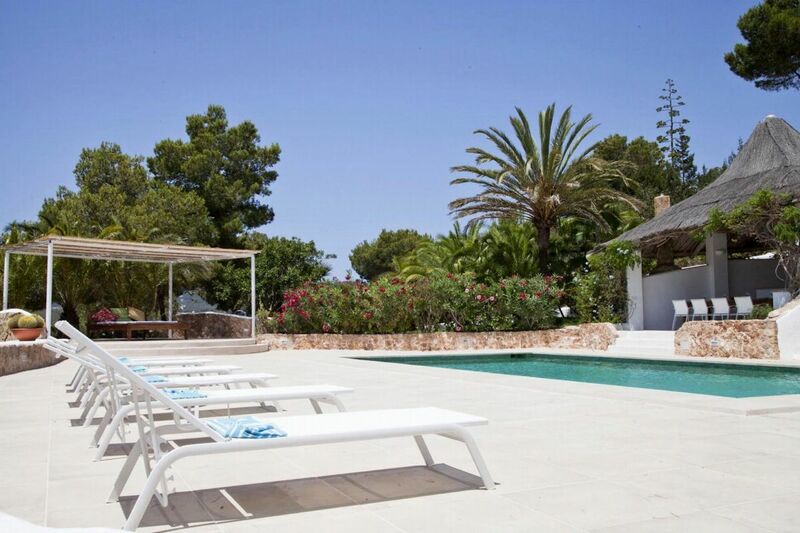 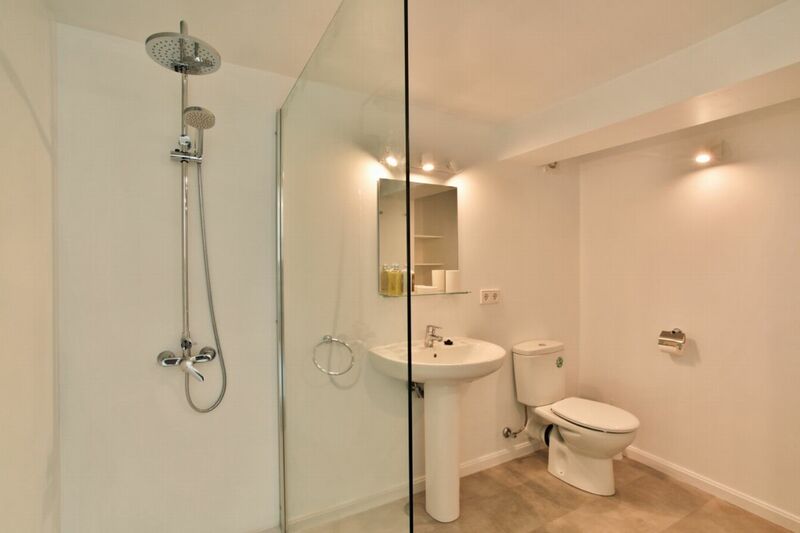 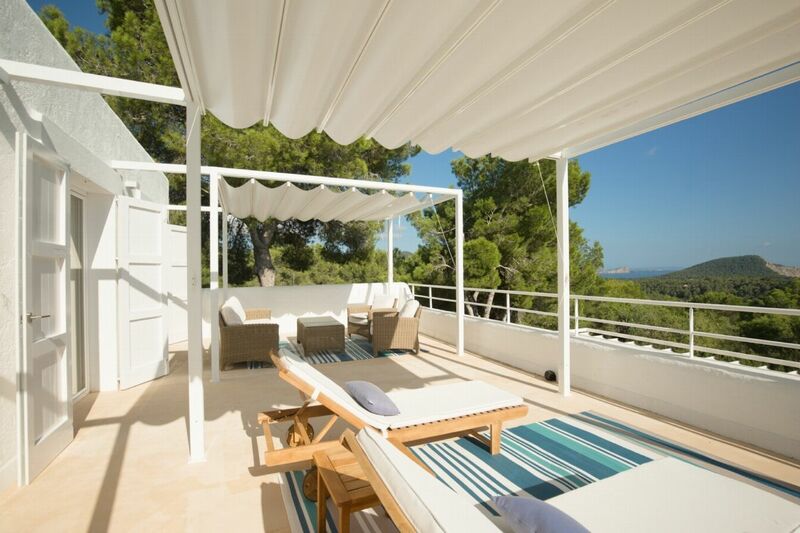 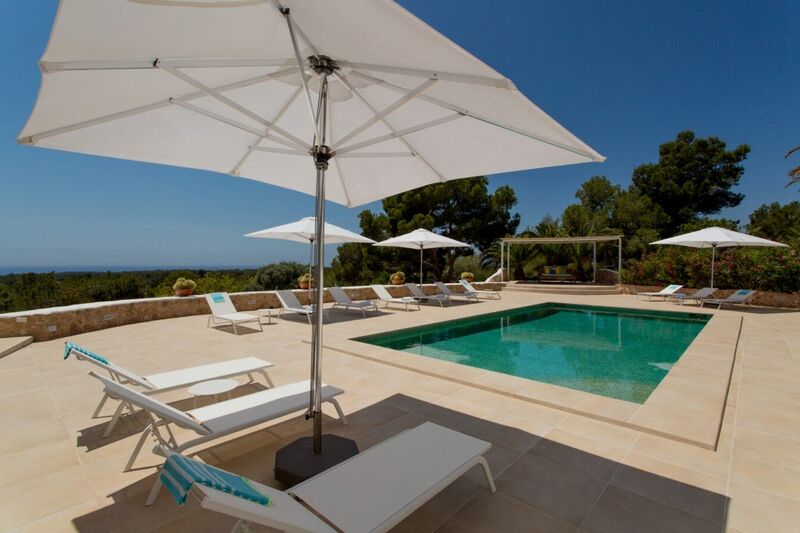 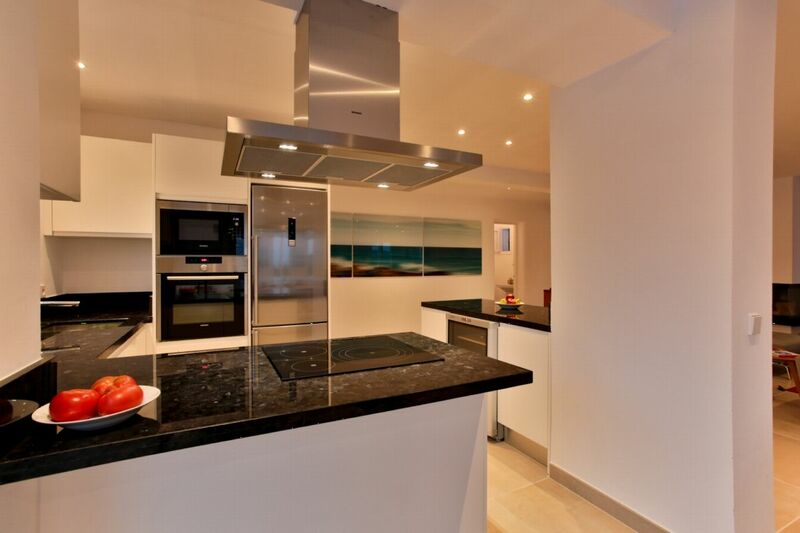 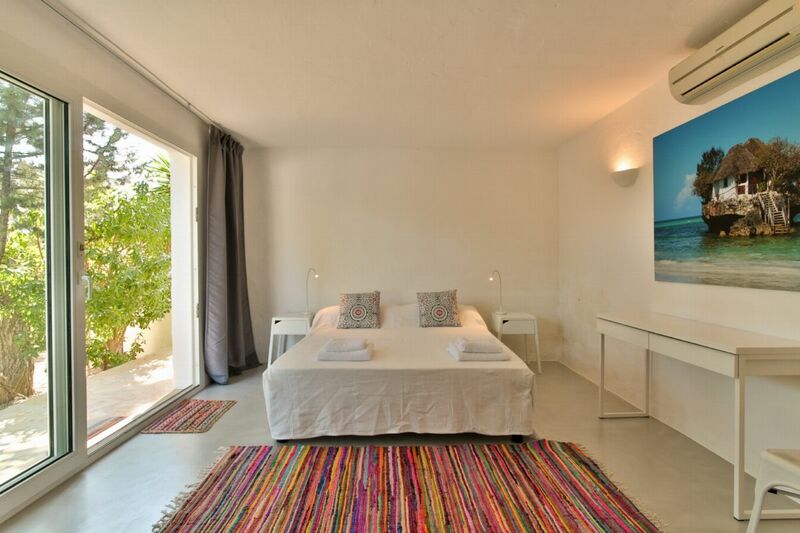 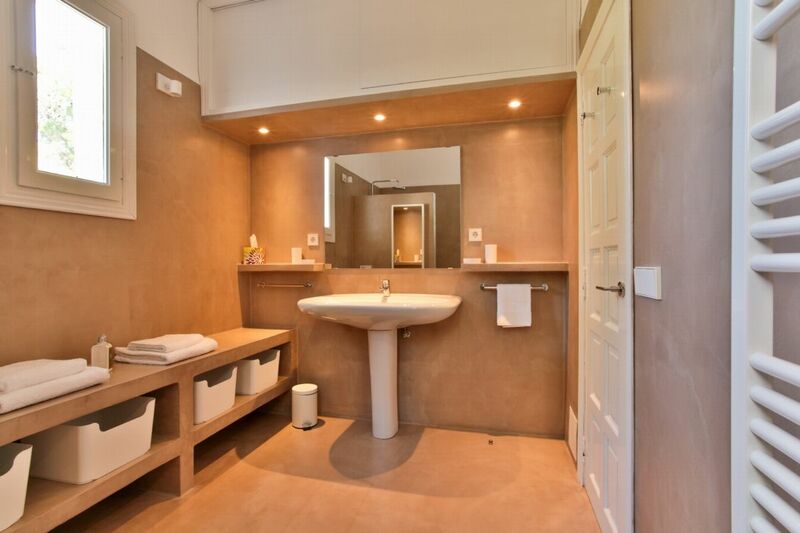 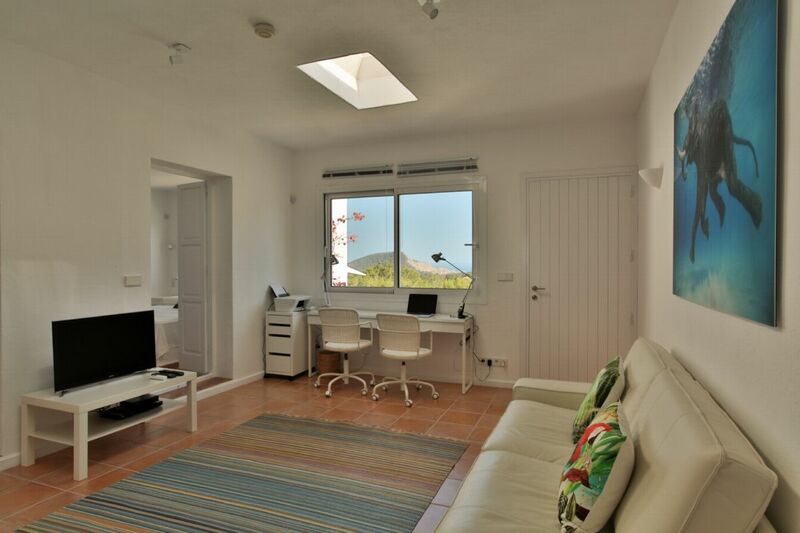 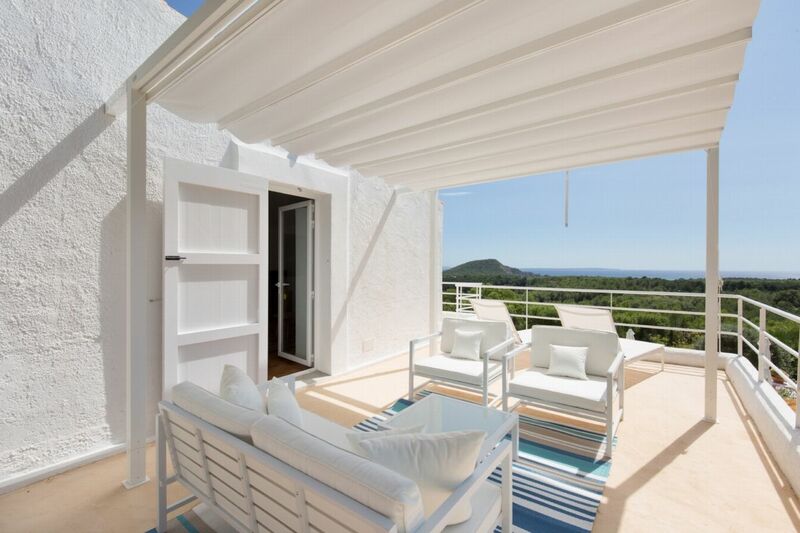 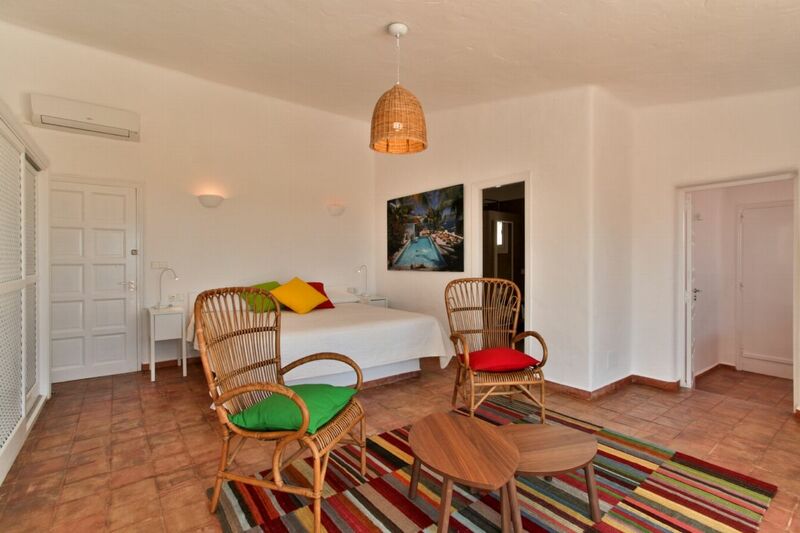 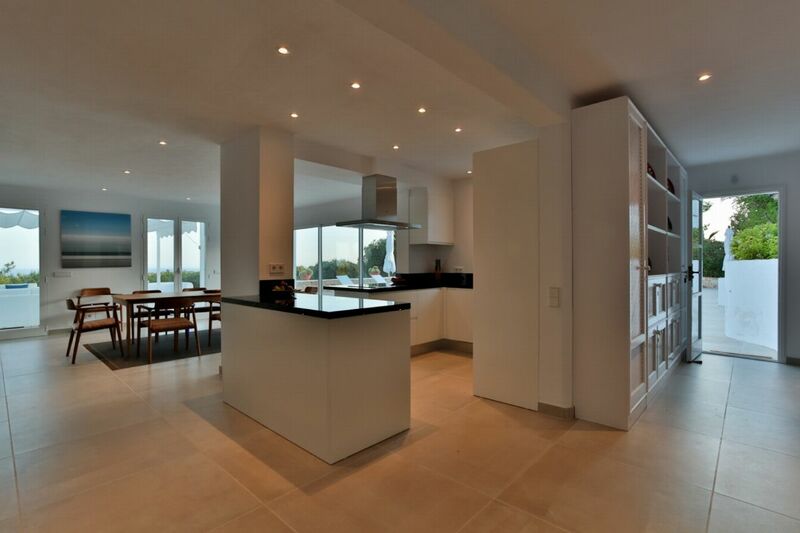 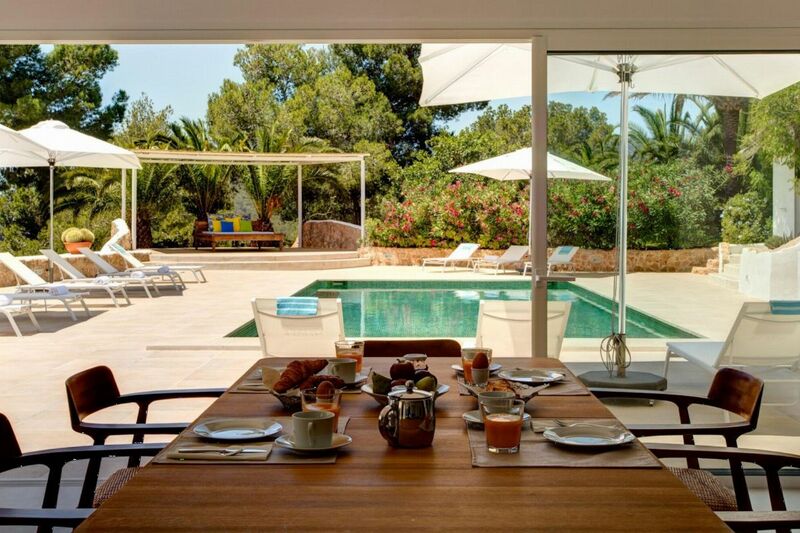 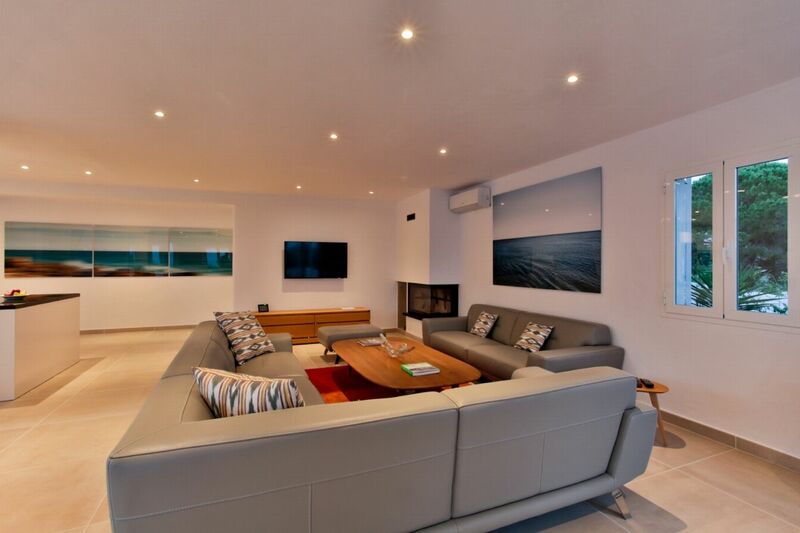 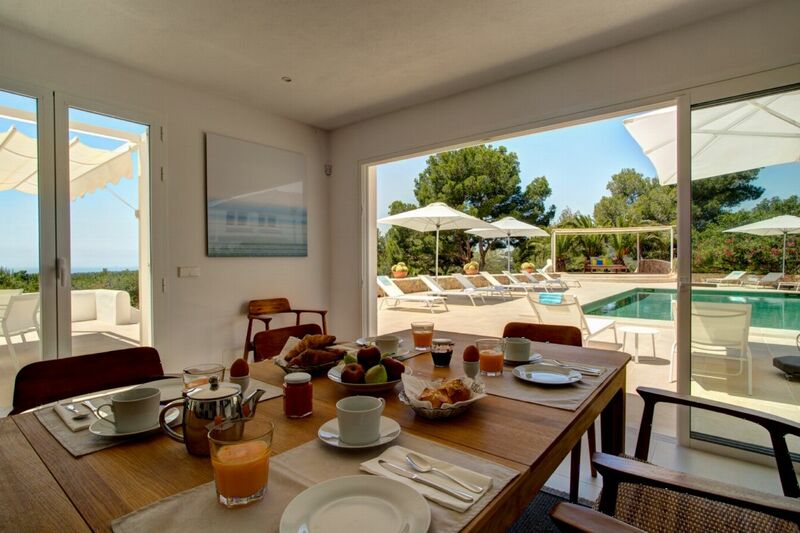 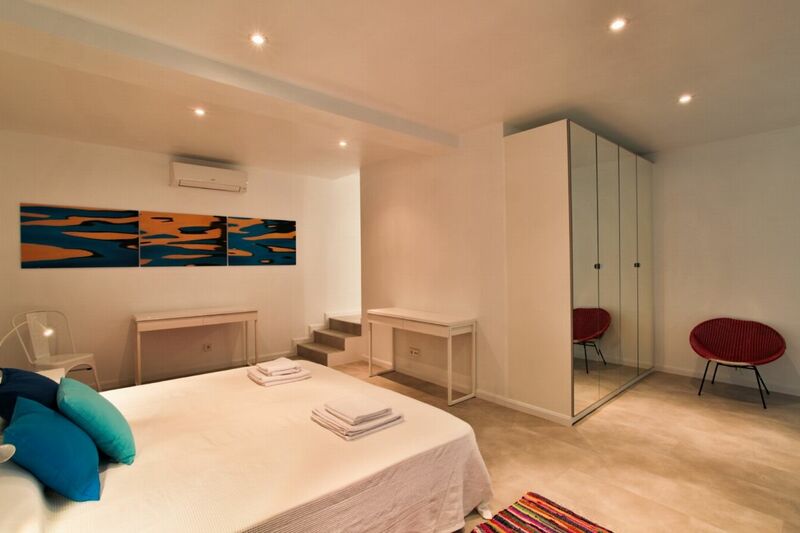 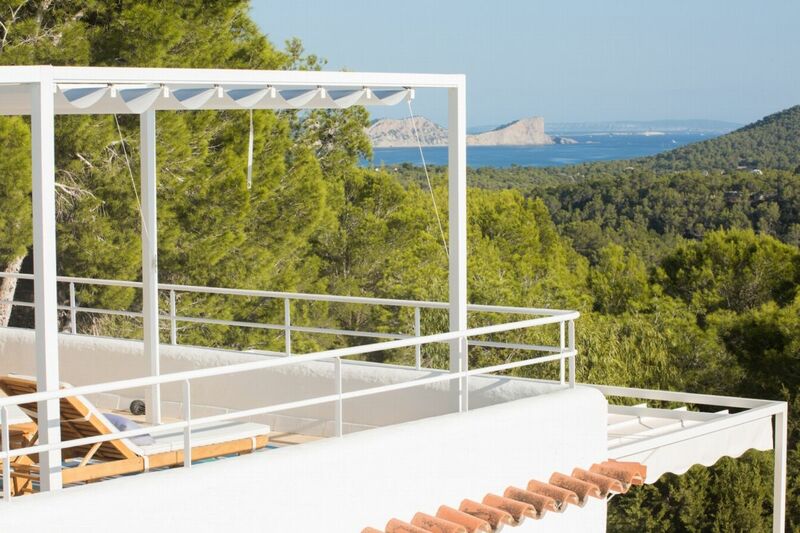 Fabulous modern bright property with seaview located close to Ibizaâ€™s best beach clubs. 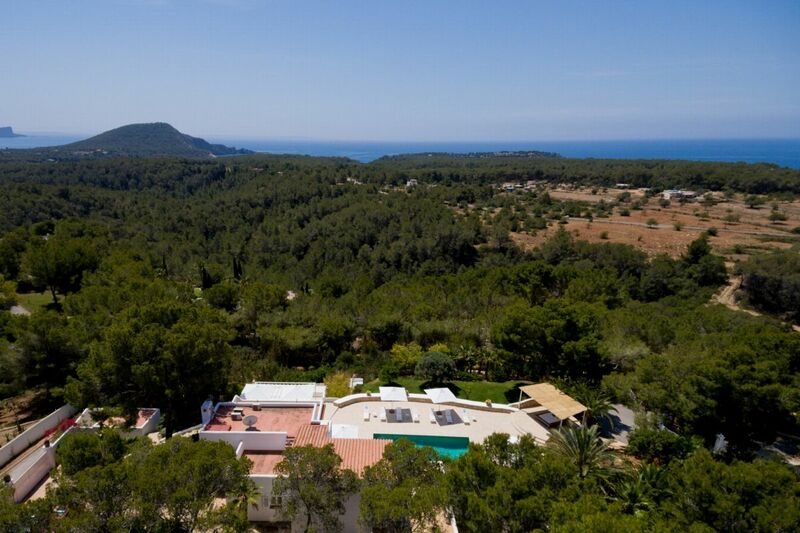 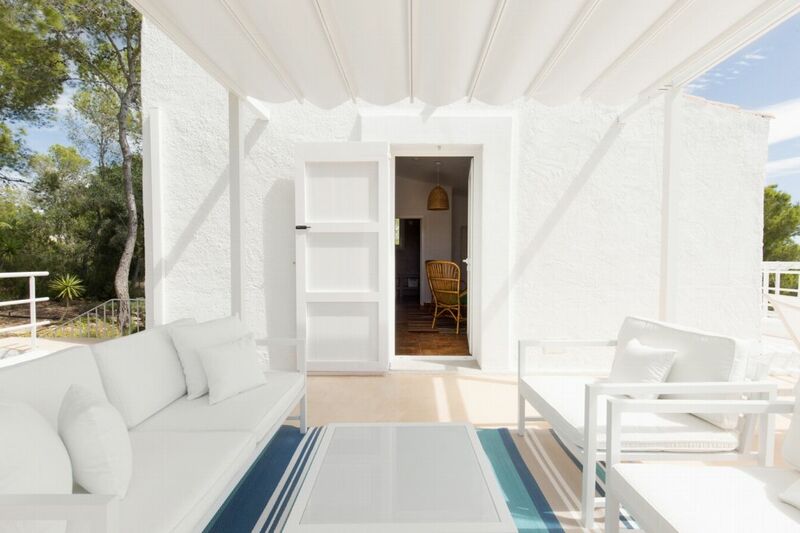 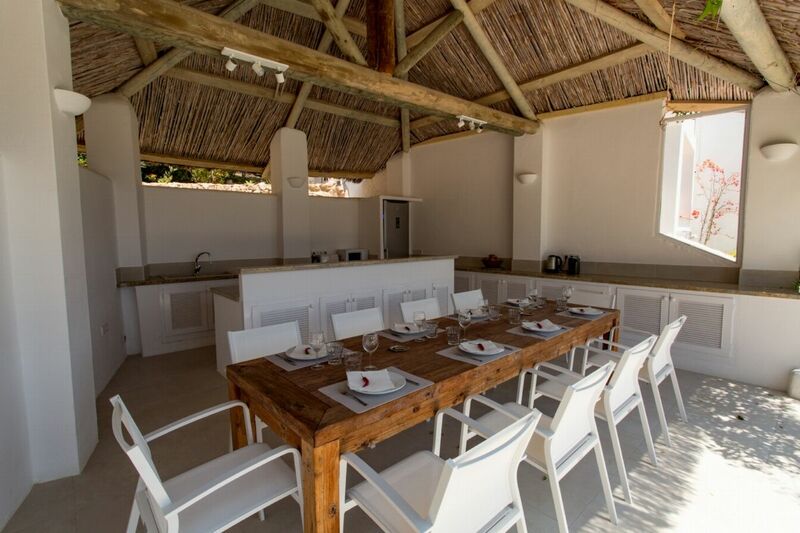 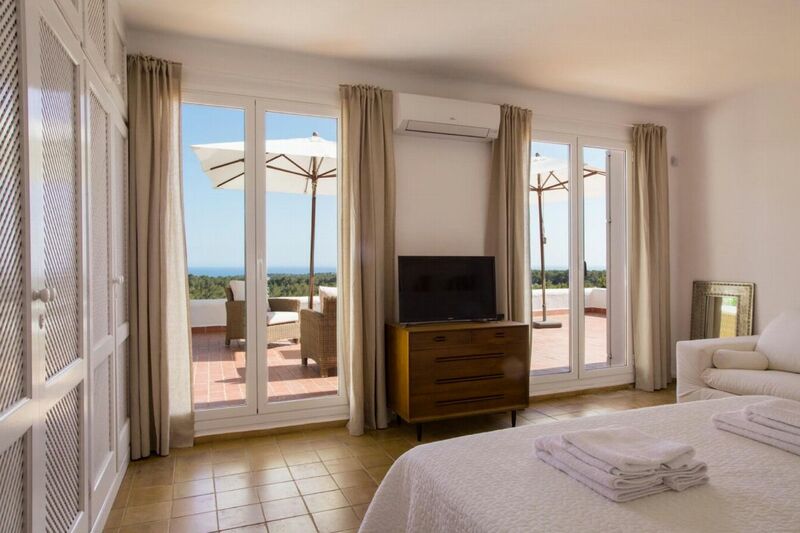 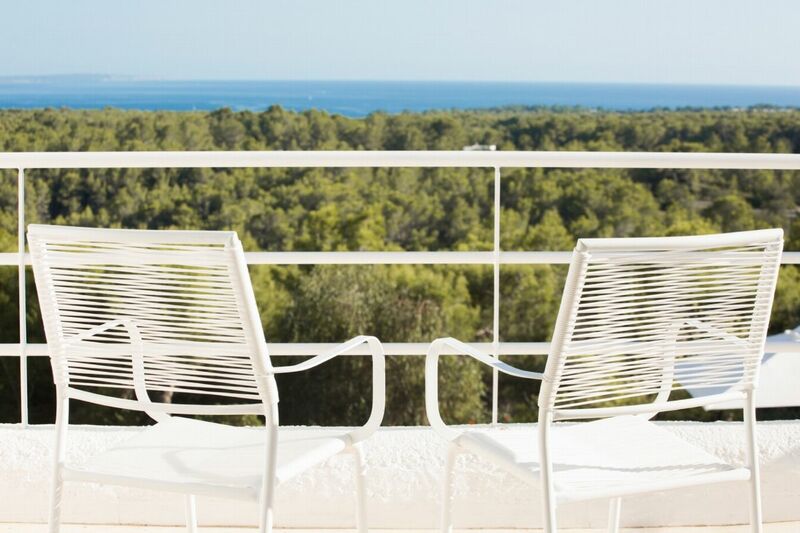 This idyllic location is close to the sea behind the famous â€˜Cala Jondal beachâ€™ known for its natural beauty and the renowned establishments such as â€˜Blue Marlinâ€™ and â€˜Tropicanaâ€™. 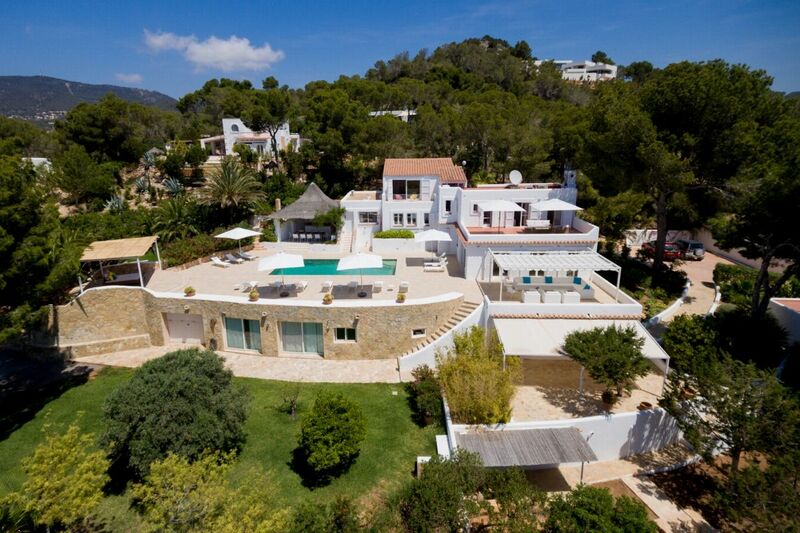 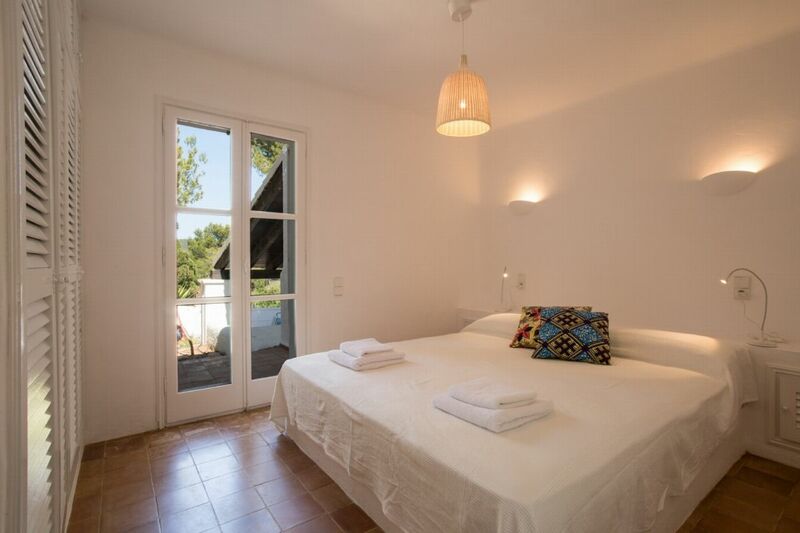 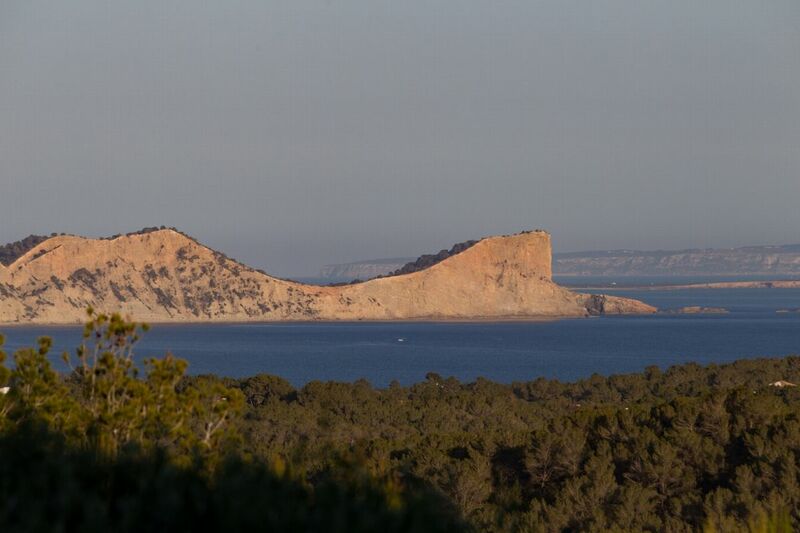 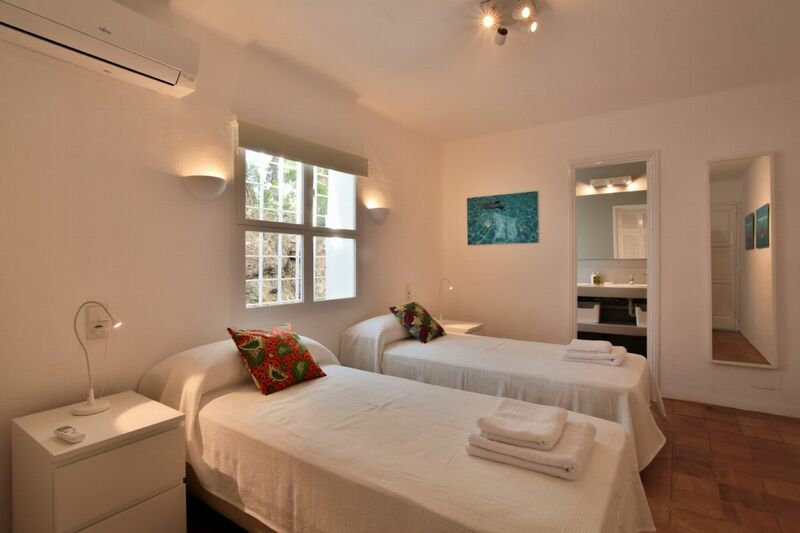 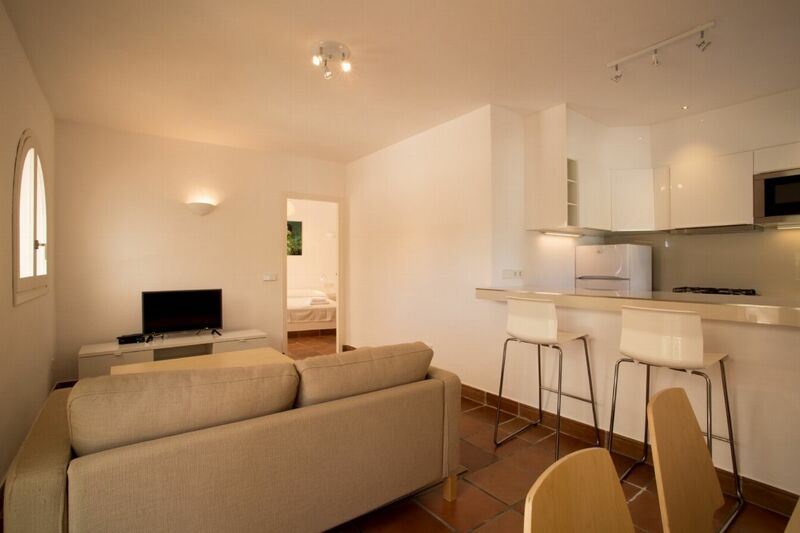 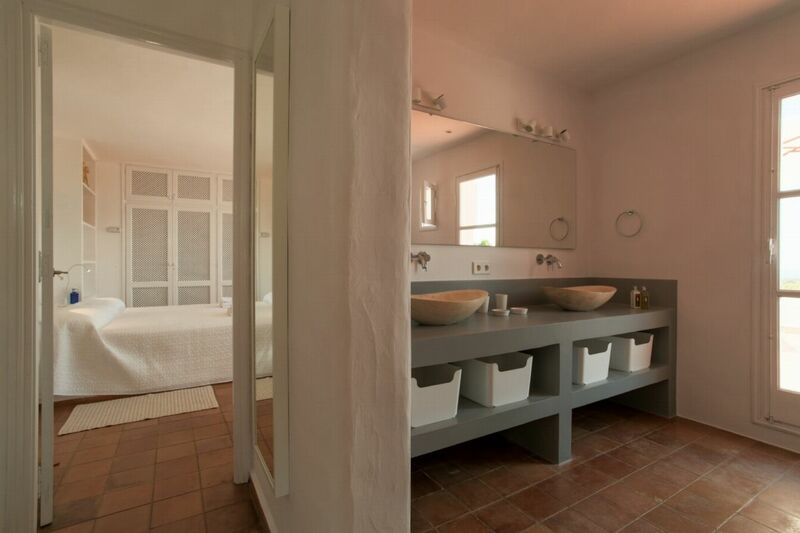 Also it is only 10 minutes from the airport and 15 minutes from Ibiza Town. 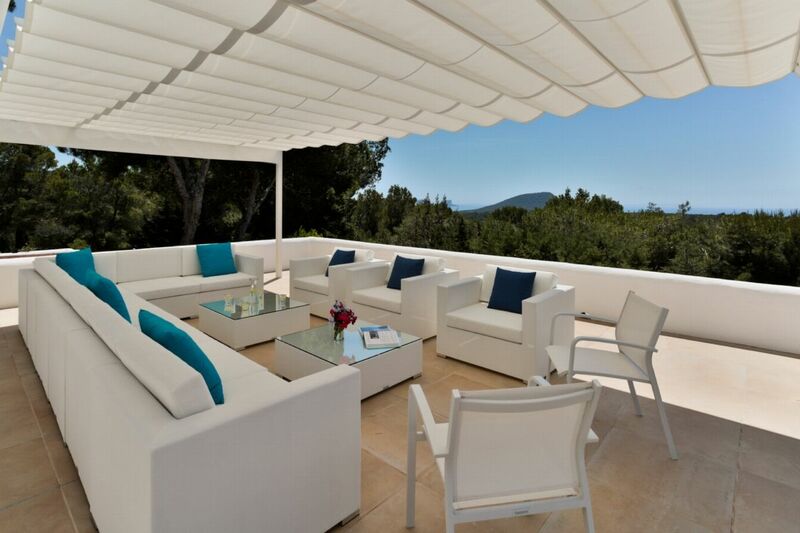 OUTDOOR AREAS The spacious terraces to the front of the villa face the sea and are fully equipped with an outdoor lounge area where around 20 guests can be accommodated to enjoy socialising with a drink or two.In the centre of the main terrace there is the swimming pool which has a security alarm for the safety of children and the outdoor kitchen. 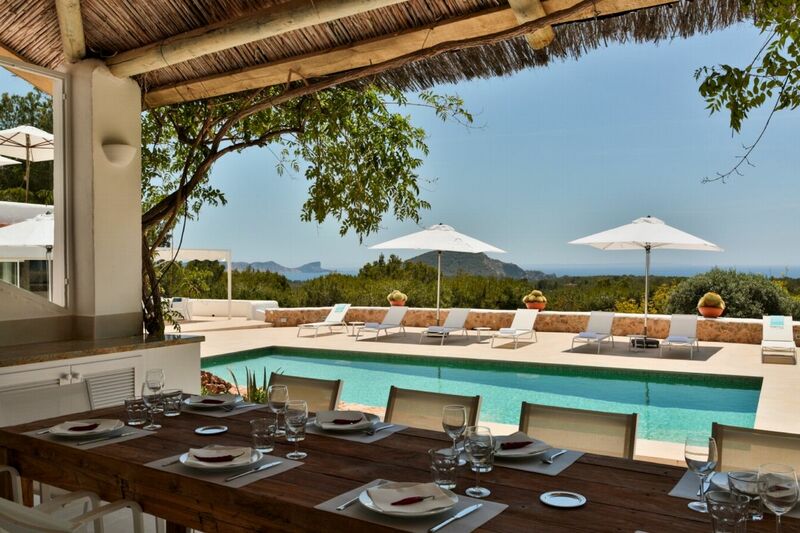 The outdoor dining area boasts a large teak table allowing many guests to enjoy a meal while taking in the sea views or enjoying the ambiance of the illuminated pool and terraces at night.A little further away is a pergola with a large Balinese bed, perfect for relaxing in the shade and enjoying the sea views.The garden is composed of large terraces, several types of trees such as â€“olive, orange, mandarin, lemon and many mimosa. 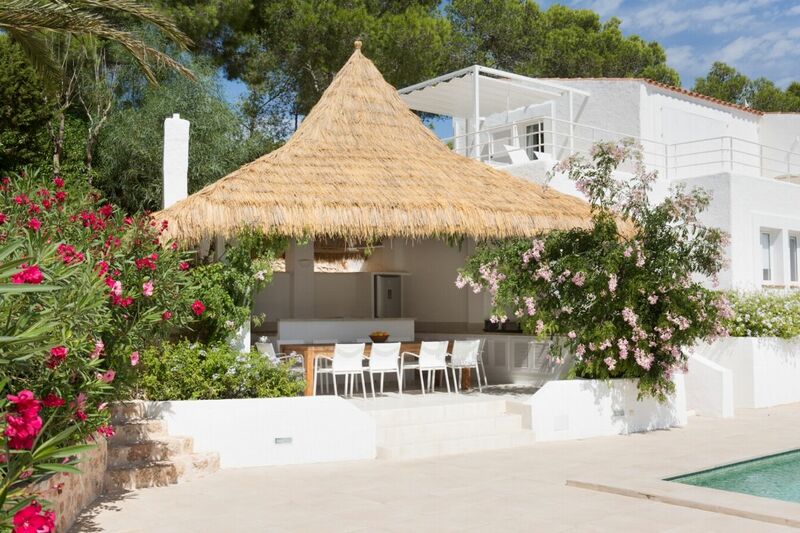 A charming path allows guests to enjoy a walk around the property and the automatic lighting illuminates the area at night.You can access the property via 2large automatic gates located on both sides of the property and the parking area accommodates up to 8 cars. 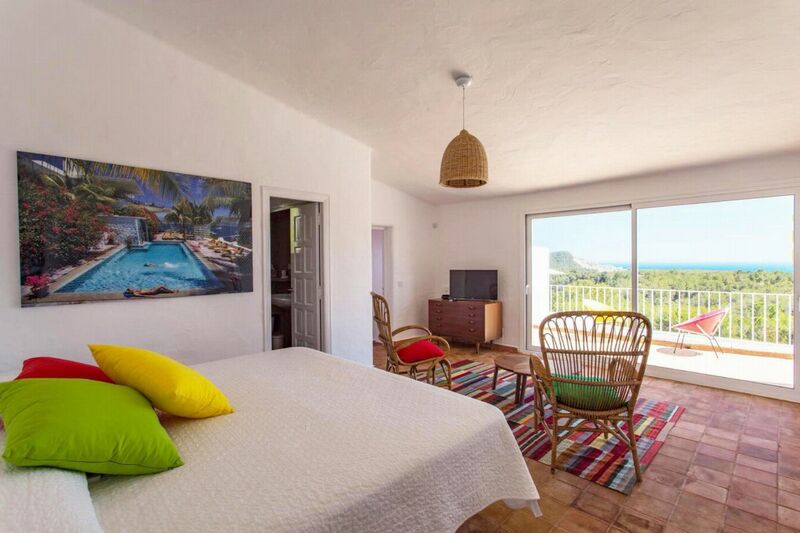 LIVING AREAS This fabulous property is very bright and has amazing sea views, it has been completely renovated recently by a famous French decorator who has made this unique place a paradise of good taste.It boasts 1950â€™s vintage furniture selected from the best antique markets in France, comfortable â€˜Roche Boboisâ€™ leather sofas and high quality Scandinavian furnishings. 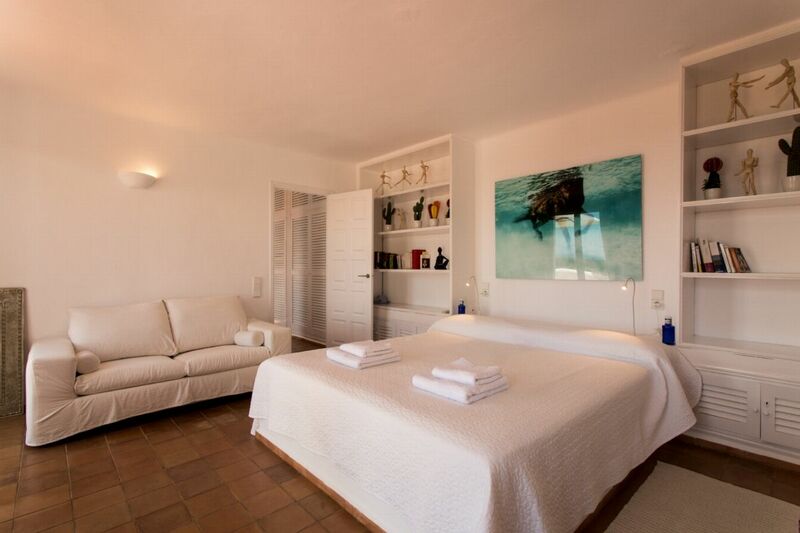 There are large ocean-themed photos on the walls to give the atmosphere a summery feel.On the ground floor of the villa there is a large open plan lounge, dining room and fully equipped kitchen with large bay windows overlooking the terraces and the sea views from all around the villa.The villa has a fully equipped gym with a high standard of equipment, WiFi, air conditioning and a Sonos music system are available throughout the property.